ladybaazar.com is a marketplace for woman Indian Ethnic ware Products. 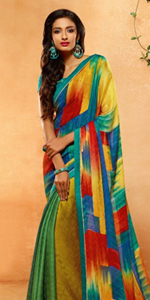 Lady Baazar, is owned & managed by Prenea Sarees. We are Surat based e-commerce solution provider. Surat is hub of textile/fashion industry mainly for women ethnic products in India. Lady Baazar brings simultaneously the best of Ethnic, latest trend from the Indian subcontinent to Indian wear lovers world-wide. Our online collection of attires is curated exhaustively, with goods sourced even from the remotest bends of India.India is a beautiful assortment of diversity reflected in our Clothing, Food, Lifestyle, Language etc. This diversity is so rich and diverse that an attempt to capture it on a single platform was never made. Lady Baazar who think this is possible now with the Internet. We connect local vendors & designers directly to global customers and remove middlemen, help them create/promote their brand and preserve our culture, traditions and values. From amazing visual content ,neat and clean design, unexpected customer service, express shipping, gift wrapping for special occasions to building trust , we make ‘shopping experience’ a great one. Just in case customers didn't quite like what they bought, no problem, we'd be happy to take it back with our hassle free Returns policy. While providing customers the best-in-class shopping experience, we aim to offer a range of premium merchandise in Indian ethnic fashion and lifestyle. Our team works hard to make you look stunning for every event like wedding, parties, functions etc. and also in daily routine life. our products make our customers look incredible. With a great fan following in worldwide, Lady baazar is extremely focused on ethnic wear and wants to dominate this space in the coming few years. Customer delight and satisfaction is our motto.